What happens when life doesn’t turn out the way you expected? What do you do when God’s timing seems questionable, his lack of intervention hurtful, and his promises doubtful? 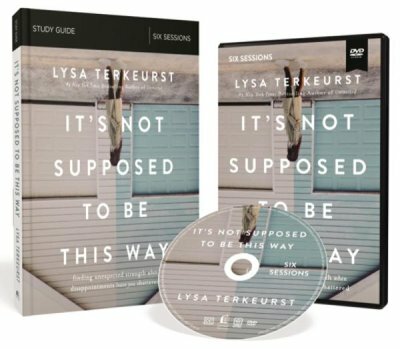 In this Bible Gateway Q&A, Lysa TerKeurst (@LysaTerKeurst) talks about her book, It’s Not Supposed to Be This Way: Finding Unexpected Strength When Disappointments Leave You Shattered (Thomas Nelson, 2018). Why did you write It’s Not Supposed to be This Way? Lysa TerKeurst: Life often looks so very different than we hoped or expected. We have this feeling that things should be better than they are. People should be better than they are. Circumstances should be better than they are. Finances should be better than they are. Relationships should be better than they are. Some events may simply catch us off guard for a moment, but others shatter us completely. And underneath it all, we’re disappointed. I deeply and personally understand that ache of disappointment. That’s why I wrote It’s Not Supposed to Be This Way. You say we have to wrestle between two perspectives: feelings and faith. Lysa TerKeurst: I have honest feelings where I want to throw my hands up in utter frustration and yell about the unfairness of it all. To deny my feelings any voice is to rob me of being human. But to let my feelings be the only voice will rob my soul of healing perspectives with which God wants to comfort me and carry me forward. My feelings and my faith will almost certainly come into conflict with each other. My feelings see rotten situations as absolutely unnecessary hurt that stinks. My soul sees it as fertilizer for a better future. Both these perspectives are real. And they yank me in different directions with never-ending wrestling. To wrestle well means acknowledging my feelings but moving forward, letting my faith lead the way. How do you define hope—especially when reality is extremely painful? Lysa TerKeurst: Hoping doesn’t mean I put myself in harm’s way. It doesn’t mean I ignore reality. No, hoping means I acknowledge reality in the very same breath that I acknowledge God’s sovereignty. And, I’ve learned one more important fact: my hope isn’t tied to my expectations finally being met in my way and in my timing. No. My hope isn’t tied to whether or not a circumstance or another person changes. My hope is tied to the unchanging promise of God. I hope for the good I know God will ultimately bring from this, whether the good turns out to match my desires or not. And, sometimes, that takes a while. What is the first step toward healing? Lysa TerKeurst: Feeling the pain is the first step toward healing the pain. The longer we avoid the feeling, the more we delay our healing. We can numb it, ignore it, or pretend it doesn’t exist, but all those options lead to an eventual breakdown, not a breakthrough. The feeling of the pain is like a warning light on the dashboard of a car. The light comes on to indicate something is wrong. We can deny it. We can ignore it. We can assume it’s a little glitch in the operating panel. We can even go to the mechanic and ask him to turn off that annoying little light. But if he’s a good mechanic, he’d tell you it’s foolish not to pay attention to it. Because if you don’t attend to it, you’ll soon experience a breakdown. The warning light isn’t trying to annoy you. It’s trying to protect you. And pain is much the same. It’s the pain we feel that finally demands we slow down enough to address what’s really going on below the surface. How do we get confused about God’s best for our lives? Lysa TerKeurst: I want to assume that my definition of best should be God’s definition of best. And that my definition of good should be God’s definition of good. I want to write the story of my life according to all my assumptions. Therefore, it’s impossible to escape the truth that I don’t want to relinquish control to God. I want to take control from God. And then I make the most dangerous assumption of all: I could surely do all of this better than God. We may be afraid of all the disappointment of this broken world. But God isn’t afraid. He’s aware. So very aware of his ultimate plans and purposes. We’re the clay; he’s the potter. It isn’t to keep us from getting shattered. It’s to keep our souls connected, so deeply connected to himself. And let’s be honest, if we weren’t ever disappointed, we’d settle for the shallow pleasures of this world rather than addressing the spiritual desperation of our souls. We’ve heard people say, “God won’t give you more than you can handle.” Is that in the Bible? Lysa TerKeurst: No, that’s not actually in the Bible. And it’s simply not true. I know I’m not the only one who feels they’ve been given more than they can handle. I see the wide-eyed expressions on people all the time. The world is filled with people who are dealt more than they can handle. And, surprisingly, the Bible is also filled with people who were given more than they could handle. God doesn’t expect us to handle this. He wants us to hand this over to him. He doesn’t want us to rally more of our own strength. He wants us to rely solely on his strength. If we keep walking around, thinking that God won’t give us more than we can handle, we set ourselves up to be suspicious of God. We know we’re facing things that are too much for us. We’re bombarded with burdens. We’re weighed down with wondering. And we’re all trying to make sense of things that don’t make sense. Before we can move forward in a healthy way, we must first acknowledge the truth about our insufficiency. How did God lead you into more self-compassion and compassion for others? Lysa TerKeurst: I’m a writer, not a painter. But God has been using the process of putting paint on canvas to do a beautiful work in my heart and life. And I’ve wrestled with a lot of insecurity about showing people my paintings, but this fear has been a gift because it’s developed in me such a compassion for other people. Paintings are imperfect just like people are. And God has been helping me learn what it means to have compassion for myself and for others. Just as breaking bread with another hungry human feeds our bodies with nourishment, breaking secrecy with another hurting human feeds our souls with compassion. And I believe one of the greatest acts of bravery is when we allow ourselves to be vulnerable enough that it makes other people feel safe and loved and able to be themselves. What are the resources included in It’s Not Supposed to Be This Way which help readers focus on truth and find unexpected strength? Lysa TerKeurst: I’m determined to turn my battle scars into a battle cry to help others. And since I find solace and strength in the Bible, I’m eager to share the truths that strengthen me every day. At the end of each chapter is a section called “Going to the Well” which is designed to help us empty ourselves of the misconceptions we have of the way life should be. It’s a recap of all we’re learning, so we don’t forget the good stuff along the way. At the end of chapter 10 is a section called “Fighting Words.” My friend Ellie Holcomb has a great song by that title. When Ellie recites Scripture over her vulnerable places and situations, she calls it using her “fighting words.” I’ve included Scripture-based declarations we can declare over every hard place. At the end of the book I share “9 Scriptures for Surviving the Times When God Seems Silent.” This section highlights three statements that are my starting place when I wrestle through unmet expectations, pain, and disappointments: God longs to help me. God longs to transform me. God loves me. What is a favorite Bible passage of yours and why? Lysa TerKeurst: Matthew 5:8 tells us, “Blessed are the pure in heart, for they will see God.” I love that this verse doesn’t say, “Blessed are the perfect people.” It says, “Blessed are the pure in heart.” This encourages me so deeply especially when hard times feel so confusing. When I truly seek God, especially when I don’t know how things are going to turn out, I can know God is at work and I will eventually see His good come from this. What are your thoughts about Bible Gateway and the Bible Gateway App and Bible Audio App? Lysa TerKeurst: I’m incredibly thankful for everything that Bible Gateway does to help people get into God’s Word so God’s Word can get into them. My team and I use your resources on a regular basis! 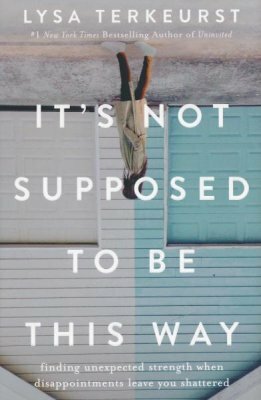 It’s Not Supposed to Be This Way is published by HarperCollins Christian Publishing, Inc., the parent company of Bible Gateway. 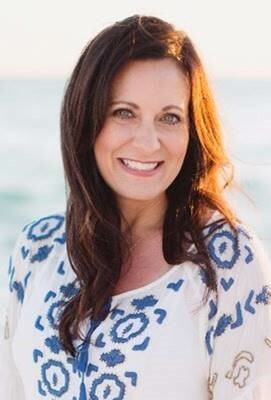 Bio: Lysa TerKeurst is president of Proverbs 31 Ministries and The New York Times bestselling author of Uninvited: Living Loved When You Feel Less Than, Left Out and Lonely and The Best Yes: Making Wise Decisions in the Midst of Endless Demands. She writes from her sticky farm table and lives with her family in North Carolina. Connect with her at LysaTerKeurst.com. Study the Bible with confidence and convenience when you become a member of Bible Gateway Plus. Try it right now! I’ve also learned over the last two years the same lessons. I have screamed at the Lord in anger and frustration but thankfully, come through into a deeper relationship that only times like these (yes, they haven’t miraculously disappeared) can create. As I always say, God is good all the time. He’s my strength and hope for each day He gives me. Thank you for showing others these very things. Hi, I am very happy you took the time to read my post. 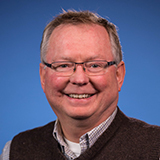 I am Blogging to try and reach Christians and non-Christian to give God the Glory if one of my posts, reaches someone and they find comfort hope and some studies. Thank you again, God bless you and give you favor.